Did you know that when food scraps rot in the landfill, they create methane gas which is almost 30 times more potent than carbon dioxide? 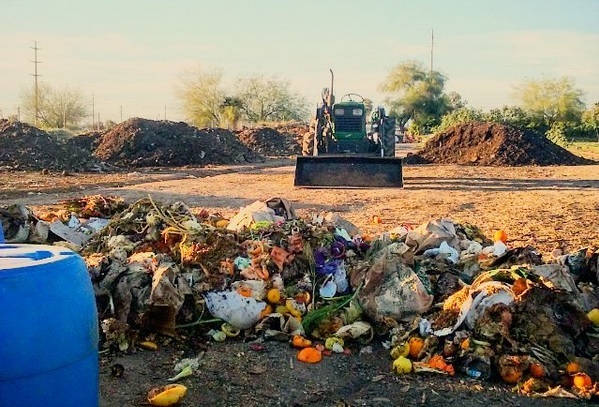 You can skip the landfill thanks to Recycled City, a Phoenix compost provider that picks up food scraps and organic matter of all kinds and turns it into fertile soil instead of noxious greenhouse gases. Join us on a tour of their new compost facility, where you’ll learn how food waste from businesses and residential homes are quickly turned into soil. Whether you want to learn more about composting in their backyard or why it’s important to utilize a service like Recycled City, we’re sure you’ll leave with a new understanding of how to manage the food scraps in your home or business.